Kira Locatell (left) and Aua Tilger write birthday cards to accompany birthday boxes, which will be distributed to the local shelters and distributed to children on their birthdays. Students at WAMS learned about the importance of giving back, and after much debate, the district calendar was approved. Catch up on everything from the past week in the Weekly Roundup. On Friday, Feb. 23, William Allen Middle School was abuzz as students with every seventh and eighth grader hard at work on one lesson — the importance of giving back. Students brought in supplies and created items to donate to local shelters and charitable organizations as part of a school-wide service learning project. 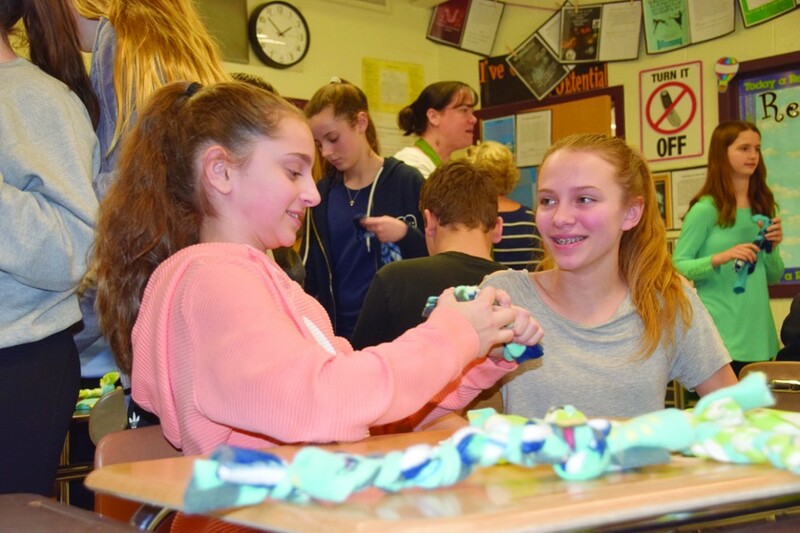 The seventh-grade teams worked on a variety of projects including creating birthday boxes to donate to local pantries, assembling “Survival Kits” for the Moorestown Police Department, weaving no-sew fleece blankets for local nursing homes and hospitals, creating dog toys for nearby animals shelters and making stress relief squishy goo for WAMS staff members. 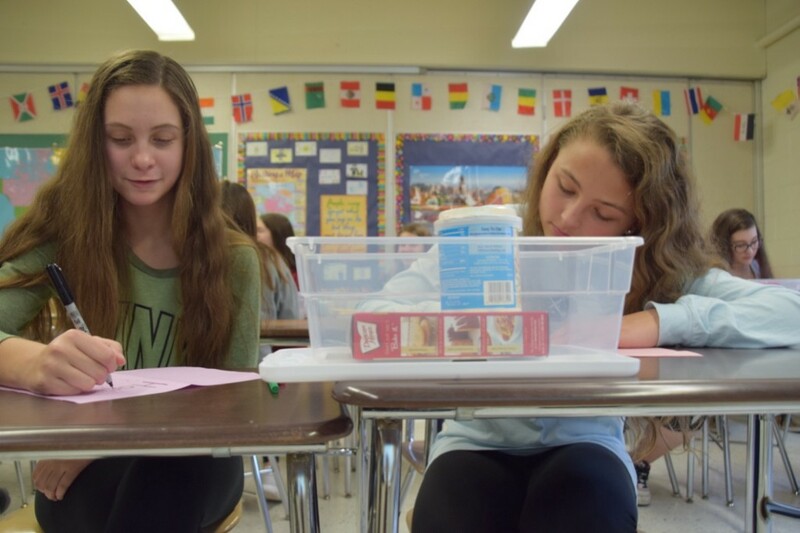 Eighth graders, on the other hand, worked on one joint project with students assembling utensil bags, peanut butter and jelly sandwiches and “blessing bags” to be donated to Joseph’s House of Camden. Safety was one of the themes of the Feb. 20 meeting of the Moorestown Township Board of Education, with Superintendent Scott McCartney discussing what Moorestown is doing to ensure the safety of staff and students. McCartney addressed the array of ways Moorestown is working to keep schools secure. He said at every school, the doors are locked at all times and visitors have to be buzzed in. He said at Moorestown High School, visitors have to identify themselves to security staff, and at the middle and elementary schools, visitors identify themselves to administrative staff. All faculty in the district wear identification badges that allow them entrance into the buildings, McCartney said.